During my internship about 8 years ago, I met Elias. A very motivated, friendly and enthousiastic hard working boy. Elias was born in Mtumbatu, a small farmers village in Tanzania, with little future perspective. There he lives with his parents and siblings. One of his brothers is his inspiration. He has been in a wheelchair for some years now after he broke his leg. The leg and bones healed properly, however he is still not able to walk. Doctors are unable to find the real cause of this. This is the motivation and inspiration for Elias to study Medicine so he can understand and help to find a way to cure or make a better life for his brother.As his parents are very poor, there were not enough funds to continue school after finishing primary school. Thanks to the Amani Centre in Morogoro he could go to a school after all in exchange for taking care of disabled children. Now there's nothing more he would want than working on a better future by studying at a university. This year he started at the AJUCO University in Songea with his study Doctor of Medicine. For many years the Tanzanian government supported all her Medical students with a student loan, so that they were able to pay the school fees. Unfortunately from this year, the policy changed and not all students get a student loan anymore. Now the annual fee (approximately EUR 1500 per year) is too high for Elias to pay and he is worried he cannot finish this year and also upcoming 4 years. 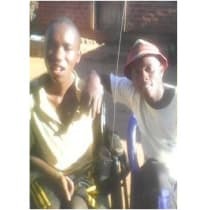 Via this way I would like to raise funds for him so he can finish his education and herewith save a lot of people in Tanzania that live in villages and do not have access to medical support.